Dr. Craig Banks is a 2003 graduate of Palmer College of Chiropractic, in Davenport, IA. He is originally from Youngstown, Ohio, where he attended Liberty High School. Dr. Banks completed his undergraduate work at Kent State University, andinitially began on the path to being a neurosurgeon through Northeastern Ohio Universities College of Medicine. Due to the low success and satisfaction rates of the medical profession, he decided that a Chiropractic career was right for him. He was one ofthe first D.C.’s in the state of Ohio to complete a recognized internship in Chiropractic. This was at Morgenstern Family Sports and Accident Chiropractic Center in Girard, Ohio, under the direction of Dr. James R. Morgenstern. 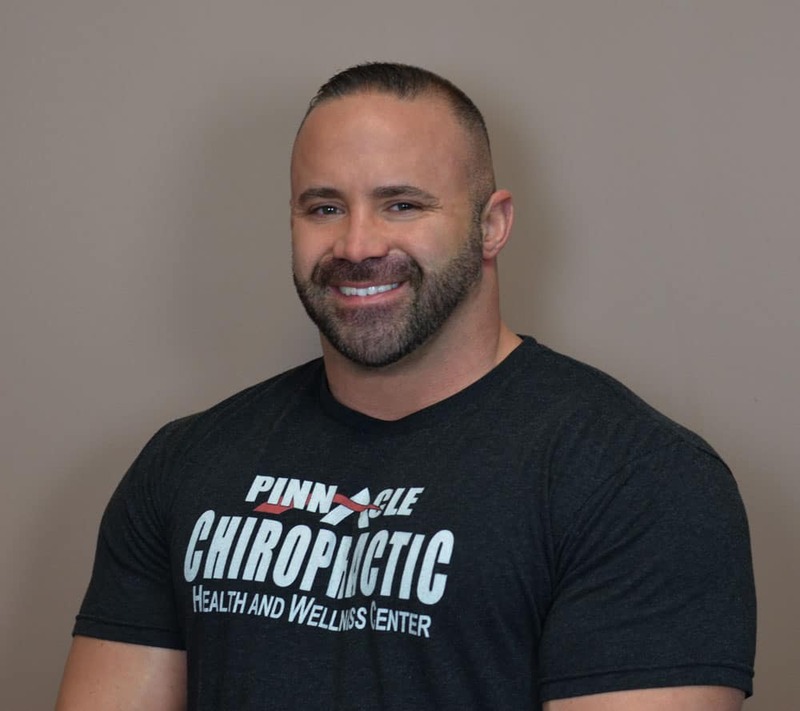 Dr. Banks began as an associate chiropractor at Mid States Chiropractic in Willoughby and then opened his own office, Pinnacle Chiropractic Health and Wellness Center, in October of 2003. He has helped to consult five other chiropractic offices, including two in Chicago, Illinois and at one point expanded to a second location in Brimfield. He is currently a member of the American Chiropractic Association, the Ohio State Chiropractic Association. He is an active supporter of the Make It Fit charity benefiting autism, Summit County Children Services and the Greater Akron Humane Society. At Kent State, Dr. Banks was a member of the wrestling team, and while at Palmer, he played Men’s Division I rugby. He is a former state powerlifting champion and currently a NPC competitive bodybuilder. He understands the needs of athletes, whether recreational or professional, because of his own personal experience. Dr. Banks has given on field support to several rugby teams, and off field support to hundreds of athletes including seven-time Mr. Olympia, Phil Heath, the Cleveland Gladiators arena football team, and the Rootstown wrestling programs. Several highlights of Dr. Banks’ career have been outside of his office, providing care at local and national sporting events. He has treated several professional wrestlers from two major televised brands and a handful of mixed martial arts fighters. Dr. Banks was the team physician for the Cuyahoga Falls Cougars semi-pro basketball team during their run. He has traveled to Hungary to assist in providing freechiropractic care to not only people in desperate need of any form of health care, but also the Hungarian Olympic athletes that were training for various sports. In March of each year, Dr. Banks heads to Columbus for the Arnold Classic and the International Chiropractic Association’s Symposium on Natural Fitness, which is headlined by Governor Arnold Schwarzenegger. At the fitness expo, he has been a staff doctor, helping to provide trauma care for the over 17,000 athletes. In fact, the event is larger than the Olympics. Dr. Banks was the formulator for KinetiCream, a topical anti-inflammatory pain reliever sold worldwide and endorsed by numerous pro athletes and celebrities.